Relax....We Give You The Price Online!! How To Shop For Replacement Windows! If you're like most home owners shopping for an Estimate on Replacement Windows then you want two things, information and a Price....! At Suburban We Give You Both Upfront!! What You Need To Know About Replacement Windows Before You Buy. ​All Replacement Windows are not created equal, like anything else you buy there are distinct differences in a quality product vs a lower end budget line. You have to decide what level of quality and energy efficiency you want and how much your want to spend. ​ Windows companies will vary in there pricing based on several factors as follows. Level of quality in the window material and engineering. You get what you pay for. 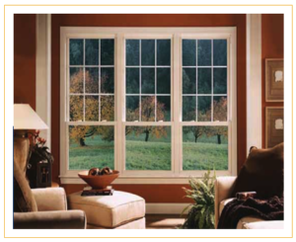 Quality windows start with 100% virgin vinyl and multi chambered extrusions. Energy efficiency. There are several choices in insulated glass that will determine the level of efficiency in your windows and how much money you will save on energy consumption. Okna Windows have several glass packages to meet your needs. Company overhead and equipment expense. Larger companies that spend thousands on advertising and sales commissions aren't giving you anything of greater value and are charging almost double what you will pay with Suburban Windows and the Okna Window. Welded frame and sashes vs mechanically assembled. This is one of the main features that determines a high quality window from a mediocre. Fusion welded main frames and sashes are what the best windows use for strength and energy efficiency. U Value and Air Infiltration are two of the most important ratings. Always ask for these numbers. A U Value of .28 is or less desirable and meets or exceeds energy star criteria. Triple weather stripping is a standard on all Okna Windows compared to double weather stripping used on most windows such as Harvey, Alside and Anderson to name a few. This is one of the reasons that Okna Windows have the lowest Air Infiltration in the industry which mean less drafts and a more energy efficient window. Constant Force Balance System​s are the choice of top window manufactures. Other choices are a coil system or spiral balance. The constant force used by Okna creates the smoothest and quietest operation in the industry. Where to find the best window companies and what to be aware of before you meet. It's nice if you have a friend or family member who has purchased Replacement Windows and can refer you to someone good. If you don't know anyone who has purchased new windows there are several places to go and some to avoid! ​Angieslist has a great review system to check out a replacement window company and also a good place to search for them. Good ole Google is great since you have a selection to choose from and websites you can check out. Replacement Window Pro is a national directory of window dealers who specialize in Replacement Windows. Always ask for references and call a few to see how they liked the contractor. Check for proof of licensing and insurance credentials. Be aware of a company who insists both spouses be present , the only reason they ask this is because they intend on pressuring you into making a decision that day. Ask how long there presentation is, 30 to 45 mins is more than enough time to demonstrate a window and give you a price. Companies who take two or three hours of your time and will try to pressure you into making a decision that day, this is why you don't want to see a company that insists both spouses be present. Avoid companies who have big ads and TV commercials, who do you think is paying for those expensive ads? You!! What You Need To Know About Replacement Window Installation Before You Decide To Purchase. The installation part of your Replacement Window is as important as the window itself. 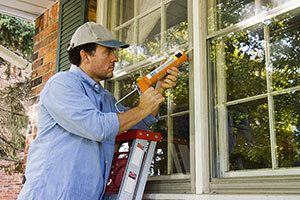 A quality Replacement Window installed improperly will perform worst than a poor quality window installed well. 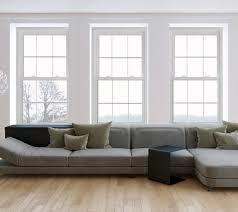 Below are details you need to be aware of to get a quality window installation. Inside or Outside Installation? This is determined by the type of window that's being replaced. Many homes build in the 90s require an outside installation due to the type of interior trim and brand of new construction window used. Caulking inside and out to create a vapor barrier and eliminate air infiltration around the window, this requires 4 layers of caulking inside and out by a skilled installer. Proper squaring of the new window unit for smooth and even operation, this also keeps the weather stripping tight to keep drafts out. Removal and discarding of the old windows should always be included, beware of companies that try to leave the old windows for you to discard. Cleaning of the new window, peeling off manufacture stickers and rehanging the window treatments is a standard you'll get from a professional window contractor like Suburban Wndows. 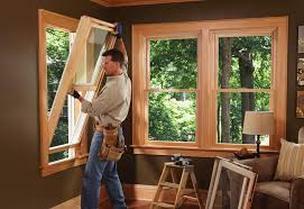 ​There are many components that make up replacement windows. Every part of the window is part of a carefully engineered system. Windows may appear to look the same at first glance from an untrained eye and homeowners can be easily misled into thinking they can get a high performing window installed properly at a ridiculously discounted price. Unique rolled formed and contoured exterior profiles give the look of milled wood moldings for a beautiful exterior finish. Low 0.01 and 0.2 Air Infiltration ratings for draft free windows, the lowest in the industry beating our competitors by 3000% in efficiency. There state of the art technology includes a unique magnetic sill and triple weather stripping which contribute to it's low 0.01 air infiltration rate. ​. Mortised sill dam for added strength. Triple weather stripping is a standard on all Okna Replacement Windows. What You Get With Suburban Windows Online Estimate System. Our online system saves you time and money since you can print out the PDF or come back to the link to review it as many times as needed. We know how much our windows cost, why not just give you the price. That's the way we think at Suburban Windows and our customers love it! ​No Wasted time and we save you money by not having to pay sales commissions, it just makes sense. 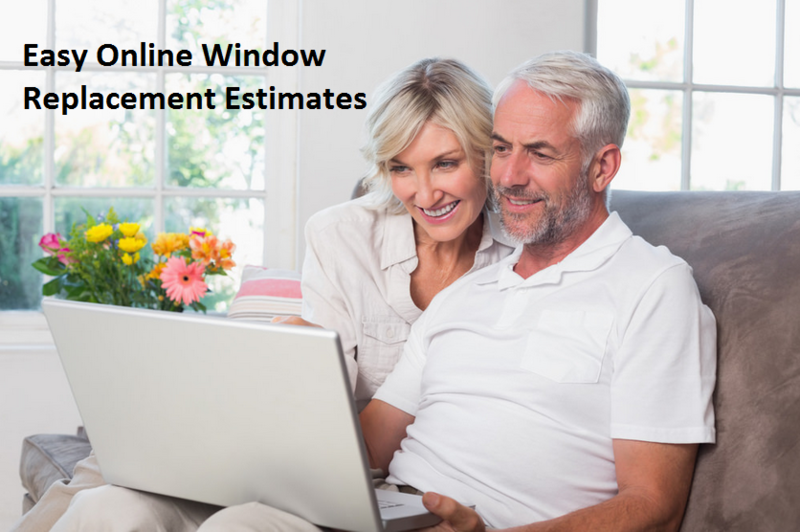 This will be the easiest window estimate you will get, with Suburban Windows online estimate system you have nothing to lose, we give you all the cost for your replacement windows in a convenient online proposal. It’s not rocket science and there is certainly nothing that would require a 2 hour visit from me just to give you an Estimate for Replacement Windows.
" Suburban Windows and Siding has been our go to company for numerous home improvement projects for more than 10 years. We have called upon them for home siding, re-roofing, Azek decking, as well as window and door replacement. Our experiences with the Luppino family and the jobs they have performed at our home have always exceeded expectation, including excellent customer service and a perfect job every time! " " Everyone we dealt with at Suburban was courteous and helpful. Everything was done on a very timely basis- on schedule and professional. Also there was no mess We wouldn't hesitate to hire you again or recommend you to a friend." " Arrived and started on the date planned. Crew was respectful and clean and did excellent work. Windows and trim came out great and as promised. Would easily recommend or hire again. If the guy from Action Windows bad mouths these guys tell Action Windows to go pound sand and hire Suburban. Better price, and better attitude." Suburban Windows & Siding sells and installs Okna Windows and Certainteed Vinyl Siding in Hartford, New Haven and Fairfield County.